More than a training organization, FITT is your source for international business expertise. This section of our website has been designed to help you determine whether The FITT Difference can help you build your international trade competence. FITT’s mandate since 1992 has been to build competence to succeed in global markets. To do this, we offer a number of products and services to the international business community. Our core offerings include our export/import training, the FITTskills international business courses; the Certified International Trade Professional (CITP®|FIBP®) designation; and, the TradeReady.ca blog. There is a plethora of practical and flexible training available for international business practitioners. However, there are very few targeted professional designations in this field of practice. 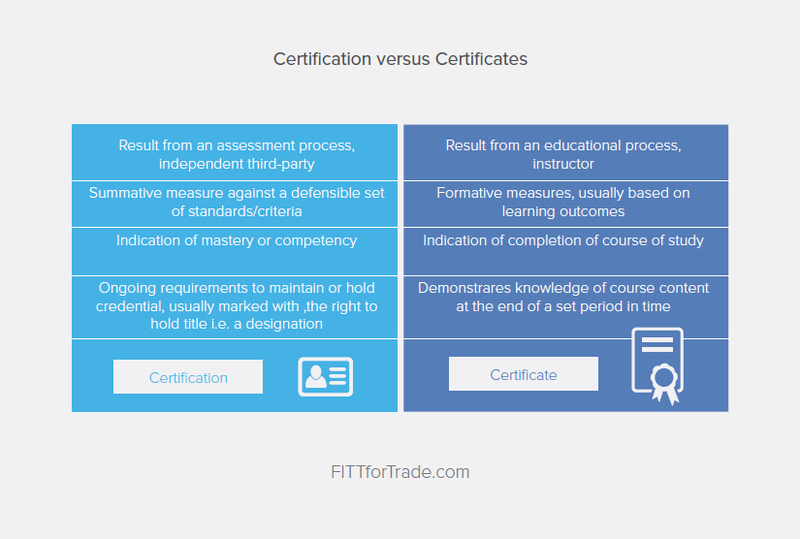 This section of our website has been designed to help you determine whether The FITT Difference can help you build your international trade competence. The only discipline FITT is focused on is international trade. We take an integrative trade approach to building global business competence by addressing the day-to-day realities of exporting, importing and investment. By staying true to the discipline of international trade, all our resources – free and otherwise - are dedicated to this core purpose. You can be sure that the resources you access through FITT are original, current, and relevant to your needs as an international trade practitioner. Competence embodies the knowledge, skills and abilities required in a professional practice. Individuals gain competence through a combination of education, training and experience. 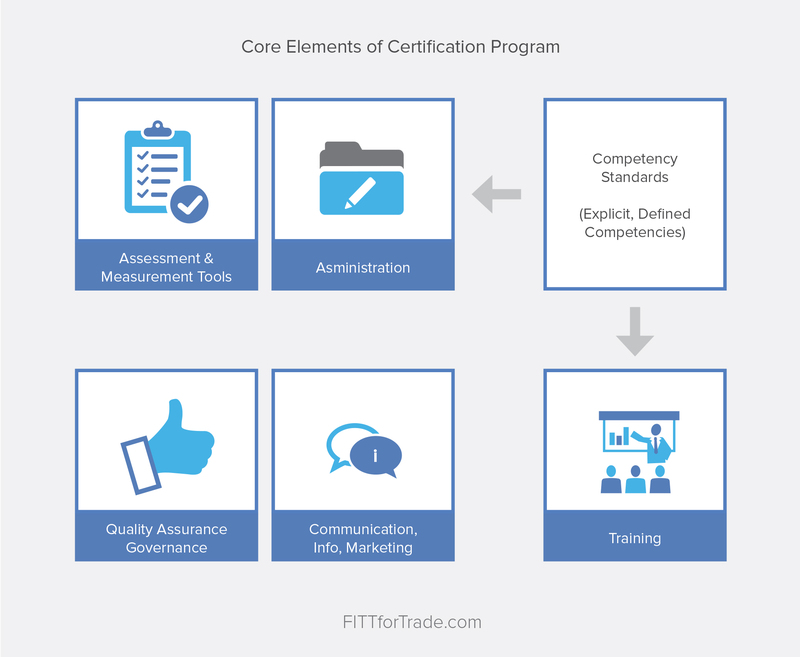 We at FITT consider international trade a professional practice, which is evidenced by the fact that we were the first organization in the world to offer a professional designation in this specialized field of practice, the Certified International Trade Professional (CITP®|FIBP® ) designation. A set of skills, related knowledge and attributes that allow an individual to perform a task or activity within a specific function or job. (The United Nations Industrial Development Organization, 2002). Competency standards define the requirements for effective performance in the workplace; and, are the basis for providing recognition to individuals who have demonstrated a professional status. To create world-class standards for international business, FITT worked with nearly 200 private sector international business professionals who took part in developing, for the first time, a comprehensive International Trade Competency Framework. This framework identifies 15 major competency categories, each containing explicit and detailed information that describes the expected industry standard of a fully proficient international trade practitioner. In addition to the 15 major competency categories, the framework includes: 35 task/skill areas; 121 competency elements, or subcategories; over 650 performance statements; and over 700 knowledge statements. An additional output of this framework was the creation of 20 occupational profiles for those working in various areas of international trade. The standards embodied within the International Trade Competency Framework provide the blueprint for designing FITT’s international trade training and educational programs, and is the source for defining what it means to be a Certified International Trade Professional (CITP®|FIBP®). While FITT works with governments at all levels, and seeks expertise from academics and psychometricians alike, our competency standards are developed by international trade practitioners through extensive consultation via focus groups, webinars, online surveys, structured interviews, research, etc. As a result, FITT’s products and services reflect the realities of day-to-day international business functions. As such, they are in demand from not only the private sector, but also government employees advising and working with private businesses that are expanding into new international markets. Credentials come in many forms and, like the myriad of training programs available for international trade practitioners, there are also an abundance of international trade credentials to choose from. One is not necessarily better than the other, they are just different. FITT’s approach to providing international trade credentials is assessment-based, meaning that whether you receive a FITT Certificate or Diploma, you have undertaken an assessment. With respect to the professional designation, the CITP®|FIBP®, candidates must have also been assessed based on the detailed CITP®|FIBP® Competency Profile. FITT assessments are optional; the implication of not taking an assessment for the training program is that you do not receive the credential. Whether completing an assessment or not, you will have received training that embodies the standards that industry has defined. Professional credentials are offered by non-academic bodies such as FITT, and at least in North America, are of greatest interest to individuals who have completed post-secondary education. In North America, these credentials are generally referred to as professional “designations” or “certifications”, inferring that the certifying body has a mandate specific to the profession in question. In the field of voluntary professional credentials such as FITT’s CITP®|FIBP® designation, to be deemed a “certified professional”, a rigorous assessment is required. Furthermore, the assessment must be based on industry defined competency standards, using a rigorous research model that is industry-driven. At the same time, FITT believes that individuals should have access to our body of knowledge, whether or not they choose to undertake the assessments to pursue the credentials. To clarify, anyone can access FITT’s training and resources without committing to undertaking an assessment. While the terms “Certification” and “Certificates” are similar, and often used interchangeably, in the world of credentials there are distinct differences. One is not necessarily better than the other, but the implications are different. Certification involves an objective and independent assessment of an individual’s knowledge and skills; basically, this means that there is some form of testing required to achieve the certification. Certificates, on the other hand, will acknowledge completion of a course or program, such as the FITT Certificate and Diploma, conferred upon individuals who complete the FITTskills training program. Additionally, certificates do not require any further obligations by the candidate and the credential is held for a lifetime. In contrast, certifications have ongoing professional development requirements in order to maintain the credential. There are, of course, many organizations that offer “certificates”, such as an “Export Certificate”, with no requirement for an assessment. These are in effect “certificates of participation”, rather than attesting that an individual has the skills or knowledge implied. 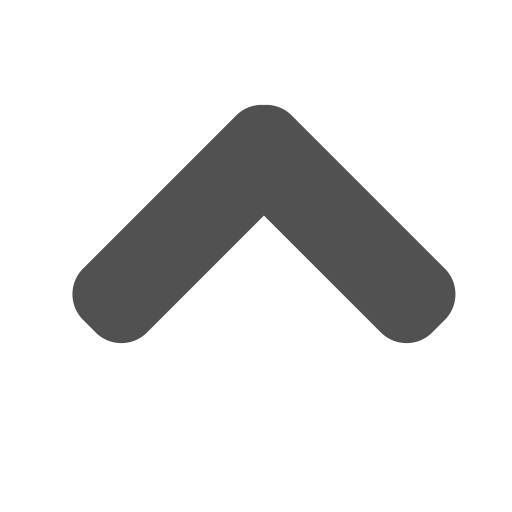 The International Standards Organization (ISO) defines certification as “the provision by an independent body of written assurance that the product, service or system in question meets specific requirements.” Being “certified” provides independent verification and proof that an individual meets a certain level of expertise in a field of practice. A Certification Program is generally defined as an industry-recognized credential granted to a candidate by a certifying body upon successful demonstration of occupational competence. The certification program is based on set competency standards; and, encourages continued competence. One of the key characteristics of a Certification Program is that an assessment or examination is conducted. A certifying body is the organization that grants a Certification. If a certification program, such as the CITP®|FIBP® certification/designation, is to survive and have ongoing credibility, the certifying body (e.g. FITT) needs to have competency standards, assessment and measurement tools, quality assurance and governance processes, communication/marketing capabilities, and resources. There is a significant amount of financial resources and competence required to both develop and maintain competency standards. In effect, certifying bodies, like all organizations, need to be sustainable to offer continued value to the professionals it serves. With the financial support of the Canadian government, FITT has been creating competency standards in international trade since 1992. Assessment-based Certificate Programs, such as the FITTskills International Business program, are non-degree granting programs that evaluate the success of a candidate’s learning outcomes. The credential earned by completing the Certificate Program is a lifetime credential. While Certificate Programs can be a path to certification, it should not be the only path or means of achieving the certification. For instance, a certification body may have a Certificate Program that supports their competency standards, but assessing an individual’s competence should be independent of how they achieved their knowledge, skills and abilities. Thus, other methods of validating a candidate’s competence should be in place, such as portfolio assessments or accreditation of other training/educational programs that meet the set standards, which can assess both education and experience. Industry standards are being set for the profession. By virtue of developing the first professional certification in international trade, the CITP®|FIBP® designation, Canada was the first country in the world to officially define practitioners of international trade as “professionals” that have specialized knowledge, skills and abilities. “Accreditation is the act of granting credit or recognition, especially to an educational institution that maintains suitable standards.” (vocabulary.com) It is a quality assurance process that ensures the organization or program being accredited meets the standards of the accrediting body, which necessitates that, in order for an organization to accredit an international program, standards must be in place. FITT accredits post-secondary educational programs as meeting its standards, thereby providing graduates with advance standing towards the CITP®|FIBP® designation. There is an abundance of professional development, international trade training, and educational programs available. These come in various forms, from workshops and webinars to full-fledged specialized MBAs. As with any discipline you want to develop competence in, the first criteria in selecting a training program should be defined by your individual needs and objectives in terms of time, money, learning goals, etc. Selecting the right workshops, webinars or other more modular training is a fairly easy process, as they are low investments in time and money, and often provided by organizations that are well-known to you. On the other hand, if you are investing in training that results in a formal credential (e.g. not a “certificate of completion”), then you may want to consider investing in training with an organization that has a professional Certification Program in place. An advantage of completing training with an organization that has a certification program in place, regardless of whether you choose to become certified, is that you’ll know that the training program is defined by industry standards, and thus will be relevant to your day-to-day international business realities. 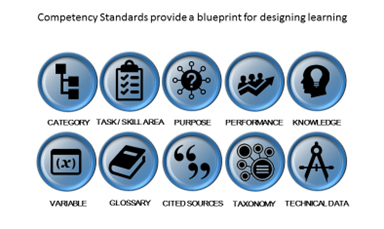 Does it have explicitly defined competency standards that are publicly available? What standards-setting methodology is used? Were the competency standards developed and validated by industry? How rigorous was the research? How often are the standards updated? Do they specialize in international trade only, or a number of areas? What expertise do they have? Is there an effective governance structure in place? Do they have the internal competence and resource capacity to develop and maintain the standards? What additional resources will they provide you? Do they have a formal training program(s) in place that is aligned to the standards? Are they able to accredit other training programs that meet the standards? Is there a code of ethics in place? Is there formal recognition of the certification? Are the assessments psychometrically sound? Do the training resources provide the support that their competency standards claim? Is the organization endorsed/recognized by government? Is it a for-profit or not-for-profit organization? What evidence can the ‘certifying body’ provide to support their claim that they are, in fact, a ‘certifying body’? And finally, but not least: what calibre of professionals are they serving; and, what other organizations are involved, supporting and/or endorsing them? FITT’s core purpose is to build competence to succeed in global markets; since 1992, it is all we do. FITT is governed by an industry-based Board of Directors, and Certification and Accreditation Committee [link to CAC TofR]; FITT’s training program, FITTskills International Business Program, satisfies the educational requirements of the CITP®|FIBP® certification program, though we also accredit post-secondary educational programs meeting our Competency Standards, and accept Portfolio Assessments from individuals . Both methods provide candidates with advanced standing towards the CITP®|FIBP® designation ensuring competency standards are met, but not enforcing a duplication of learning; a commitment to ongoing professional development, and the Code of Ethics is required. The International Trade Competency Framework informs the FITTskills international business training program. The Canadian government is not only a founding partner of FITT’s, but continue to provide financial support through the development of our Labour Market Information research, and updating of FITT’s competency standards, certification and accreditation programs. The FITTskills training program and the CITP®|FIBP® designation have been imbedded into Canada’s Trade Commissioner career pathway at the department of Global Affairs Canada; and, many other provincial governments and/or regional agencies support employees undertaking FITTskills courses, including Export Development Canada. The World Trade Center Association has endorsed the CITP®|FIBP® designation and the FITTskills program as a “standard of excellence”. FITT is a not-for-profit organization, and all resources are directed to our core purpose of building competence in international trade. Additional resources provided by FITT include: free guides, an international network of over 20,000 individuals, TradeReady.ca blog, and many whitepapers and other resources.